Thanks for the review! Stoked that you are happy with our service and products :) See you next time! My budtender was very smart and knowledgeable about the different strains and products offered. He was sure to let us know of deals and savings opportunities, and definitely exceeded expectations. The place is nestled in cozy and welcoming. Thanks so much for taking the time to leave a review! We have a huge menu and our staff has a big job learning about all the products and appreciate hearing the great feedback :) Please be sure to mention this review next time you're in for a pre-roll deal. Also, get ready for February 2nd, we are turning 2 and will be celebrating all weekend! When you first walk in the person that IDs you always is welcoming. The atmosphere of this building is really great and the budtenders if they do not know something they find somebody that does. They are very personable the budtenders. And very knowledgeable. This is one great place to go. It is a pleasure to hear that you enjoy our shop! We have a killer crew and it's always awesome to get great feedback. Thank you for taking the time to write a review and we look forward to seeing you next time! I love the place and the people. Best prices in town. Great supportive atmosphere- very knowledgeable budtenders. Never disappointed and first place go for high quality products. I have always had good interactions with staff. The store is clean and the bud is good. The concentrates are good. Rose was super helpful today and the other budtenders have been helpful too! 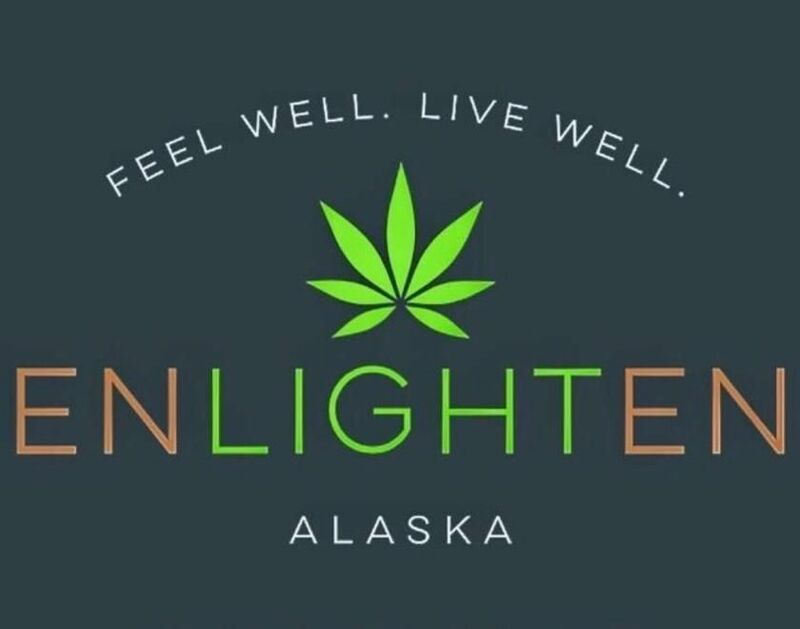 Enlighten Alaska has my loyalty! These guys are awesome! They have an awesome selection, and always have new things to choose from every time I come in. Vibes are super chill, and they are always very educational and take their time with any questions I may have. They are so helpful, I even recommended them to my mom! Thehive, YOU are awesome. Thanks for this review! That's fantastic that you suggested us to your mom. We really value education at Enlighten and strive to help every person who walks through our door. We appreciate you! This shop is literally the nicest, and the most professionally laid out shop in town. The staff were super friendly, helpful, and knowledgeable. They had an awesome selection of very reasonably priced glass bowls, bubblers, etc. Lastly, their menu/selection is quite large, and I can confirm that the quality is a 15 out of 10. I'm happy to say that I found myself a new regular shop, and I'm certain that everyone that visits Enlighten will feel the same way.